Even as businesses across the country go completely digital, and the entirety of their precious assets are stored on servers, the quality of many IT services providers has plummeted. In a misguided attempt to cut costs and save money, some short-sighted businesses are unable to see the utility of accurately-priced IT options, so they opt for lower tier, “break-fix” firms to keep their network afloat. Instead of paying monthly fees for managed services, they call up an IT professional only after something has broken down and pay them by the hour. This strategy certainly saves money in the short run, but it opens your business up to all kinds of technological disasters in the long haul. These disasters range from vicious cyber-attacks that punch through the gaps in your security to total server failures that cause you to lose thousands of dollars of essential data. Break-fix technicians only get paid when something in your system breaks — they have no incentive to be proactive with your network, or to detect potential concerns before they become a full-blown crisis. What’s more, they’re unfamiliar with your network, increasing the amount of time it takes to get your network up and running in the midst of a crisis. Over time, this approach of “If it ain’t broke, don’t fix it,” will end up costing much more than a managed services provider. 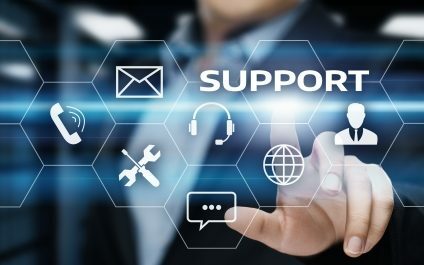 When you’re shopping for the best IT service provider for your business, it’s important to remember just how much you depend on your technology to stay competitive in today’s marketplace. Here are three standards you absolutely need to demand from your team of IT experts before disaster strikes. The best managed service providers aren’t reactive, they’re preventative. Instead of waiting around until something breaks, and your business suffers hours of downtime, they keep an eye on your network 24 hours a day, seven days a week, ensuring nothing goes amiss. By gaining an intimate knowledge of the way your particular network operates, they can see any inconsistencies or holes in your security long before they become a problem. And if an issue does arise, they are there to fix it immediately – usually before the business owner even realizes there’s a problem. Since your MSP is regularly monitoring your system, they’re ready in the event that any potential catastrophe might rear its ugly head, taking a proactive stance before it hits your bottom line. You don’t have to wait on hold to find out when the next technician may be available, ticking away precious minutes, hours, or days before the problem is addressed. When something happens, the MSP is immediately on it, and since they know your network, they can iron out any hiccups in record time.